Stuart H. Sandhaus is highly experienced with ERISA and non-ERISA disability, medical, long term care, and other related insurance claims. As a California Disability Attorney for more than twenty (20) years he has represented clients from north of San Francisco to San Diego who have been wrongfully denied their rightful insurance benefits. He personally handles every case and is a strong advocate for his clients. He has assisted clients with their applications for both Short Term Disability (“STD”) and Long Term Disability (“LTD”) insurance claims, and has represented clients who have been wrongfully denied their rightful STD or LTD insurance benefits. 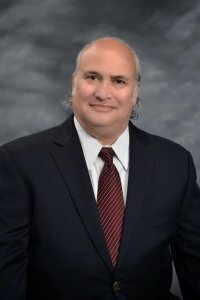 Mr. Sandhaus has extensive knowledge and experience in the handling of STD or LTD claims that are subject to ERISA regulations, successfully resolving over 90% during the complex administrative review process and resolving nearly 100% of the rightful ERISA disability claims that have had to proceed to litigation. Mr. Sandhaus understands complex illnesses and the impact these illnesses have on his clients. He is a strong advocate for his clients and is often available to them seven days a week, twenty-four hours a day and if unavailable will try to get back to his clients within twenty-four hours. Mr. Sandhaus is also an experienced federal court litigator and has successfully argued before the U.S. Court of Appeals for the Ninth Circuit. He is an understanding and true advocate in obtaining the rightful benefits to which his clients are entitled.